Despite the up and down April, punctuated by strong performances followed by ugly games, the Sox still have a chance to finish the opening month at or over .500. As of this Sunday morning, they sit at 12-13 with three April games left. 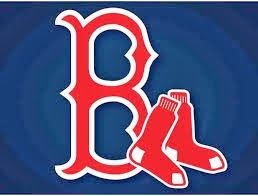 A win to sweep the Jays today along with two wins back in Boston over the slumping Rays would give them a 15-13 April. Maybe more importantly the Red Sox are currently only 2.5 games out of the AL East lead and are in third place. The entire division remains bunched together, three games apart from top to bottom. In my last post I certainly overstated John Lackey's third start of the season in New York including it in "three strong starts". Lackey did open the campaign with two strong starts but for the April 12th game in the Bronx, John gave up 6 runs on 10 hits in 5 2/3 innings. That mischaracterization must have jinxed the whole rotation because in Lackey's next start he pitched just as poorly( 5 1/3 IP for 6 runs) and from his start through Jon Lester's next, the five man rotation put up four stinkers along with one decent Felix Doubront start. Then with the ups and downs mentioned above, from April 22 through the 26th, Lackey and Jake Peavy threw great games and yesterday after a horrid first inning, Clay Buchholz gave the club a quality start, 7 IP with only the 3 first inning runs allowed. Jon Lester goes today trying to erase his poor start last time out versus the Yankees. 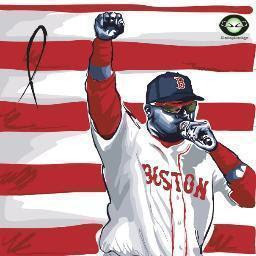 But this time through Doubront, put up the stinkeroo. I still think overall this rotation is a strength of the club. Another bright light in recent days for Boston is the ability to field the entire expected lineup. Both Shane Victorino and Will Middlebrooks have returned from the DL, and both ( especially Middlebrooks) contributed to two wins so far in Toronto. Victorino helps soldify the top of the batting order and will help stabilize the outfield, which has been erratic, at best, offensively. Middlebrooks, who had homered in the Fenway opener before getting hurt, hit another ball out of the park yesterday in Toronto. I felt in spring training, and I still do, that Will Middlebrooks is primed for a breakout year. With the return of Shane Victorino, the Red Sox made their roster decision among Jackie Bradley Jr./ Daniel Nava/ Mike Carp. Nava was the odd man out, for now, being optioned to AAA. I feel several factors lead to this decision. Foremost Nava had an option left(as did Bradley, Jr.) and could be sent to Pawtucket without exposing him to waivers. This in addition to Nava's awful April, only hitting around .140 made him the odd man out. Jackie was not going anywhere, he is certainly the everyday center fielder, shining defensively and beginning to show, perhaps, his potential on offense with Friday night's two doubles and a triple game. A fourth player also fit into the decision, that is Grady Sizemore. Bradley, Jr. has looked way, way better in center than Sizemore further cementing JBJr as the everyday man in center field. As I mentioned in the last post, if Mike Carp was the player to go, he would have to have been traded due to having no options left. In the week or so before Victorino was activated something changed there as well. Ever since last winter the most likely suitor for Carp had been the Pirates. They had a need of a left handed hitting first sacker, and they did not want to spend big money. But it turned out that person was not Mike Carp, but Ike Davis, who the Mets traded to Pittsburgh last week. This closed the door on Carp being traded for anything of value, and closed the door on Daniel Nava for now. As far as Daniel Nava getting back to Boston, I think it could be a lot further down the road than expected. Barring an injury to a Sox outfielder or Nava hitting .400+ at AAA with power and forcing his way back, I think the Sox roster is set without him. With Bradley, Jr. and Victorino set in center and right, Grady Sizemore now joins the left field platoon spot with Johnny Gomes formerly held by Nava. If Carp continues to hit in his substitute role, where would Nava fit? After playing the Yankees and Orioles seven times apiece in April, the Tampa Bay Rays are the most frequent opponent for the next month or so. The Rays come to Fenway this week Tuesday through Thursday, and Sox go to St. Pete for three on Memorial Day weekend, and the Sox end May (into June 1st) with three more at Fenway against the Maddon men. This could be an opportunity to put the Rays in the rear view mirror and perhaps force Andrew Friedman, Tampa Bay GM, into considering trading David Price at July 31's trade deadline rather than wait until this off season. I missed the entire week of Red Sox games last week as I turned off all forms of electronics and enjoyed a week on the beach in Florida. It sounds like a missed an up-and-down week. It seems like every time this team shows a glimmer of a chance of getting on a roll, something else pops up and slows their train down. But with Vic and Willie Middle back in the lineup in Toronto, they started to show how powerful this lineup can be. I think this team is due for a 7-3 or 8-2 stretch coming up here soon. Oh, and in terms of Art's last comment about the Rays considering trading David Price before the deadline, somebody here made that prediction in their 2014 MLB prediction post (two thumbs pointing at this guy!! ).